Woodlands, woodland edges, ponds, wetlands, and wet meadows. This species is easily identified by a distinctive “X”-shaped mark on its back (dorsum). The male mating call is a high-pitched “peep” repeated once per second. Older males call faster than younger males. The sound has been compared to a tiny bell, a baby chick, and a cricket. It can be heard from April through May. Small aquatic and terrestrial insects and other invertebrates. Sources: 11, 12, 14, 29, 72, 73. 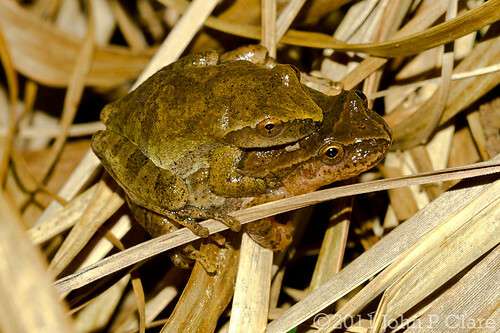 This species was formerly placed in the genus Hyla. It was transferred to the genus Pseudacris in 1984 based on allozyme data. 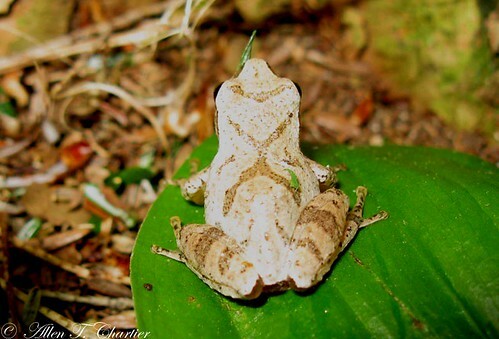 Molecular data in 2004 supported the transfer but suggested that P. c. crucifer and P. c. bartramiana should no longer be recognized as subspecies. Share your photo of this amphibian. A sure sign of spring on the east coast, these thumbnail sized frogs are deafening! 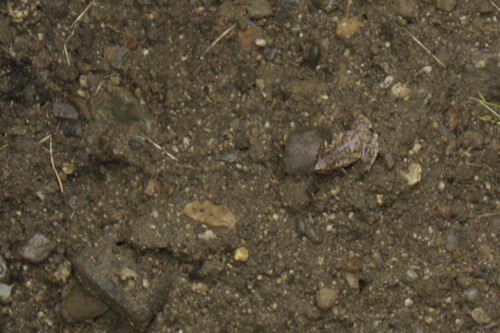 Spring peepers are the smallest frog in Connecticut. Each spring choruses of the males calls are heard emanating from vernal pools.